Hey guys, I have to say I am the worst!! I know I know, I said I was going to post Tuesday and Thursdays. However, today was a unique Thursday. As I said on Tuesday, we had a bit of a snowpocalypse. We ended up having a #snowweek instead of just a snow day sooo that means we take spontaneous road trips to Chicago? Yup, that happened. Two of my friends and I trekked it to the homeland today to stay with my family and enjoy the city…SO FUN! Anyway, that is why I have a lame post today. Been on the road today, so haven’t had any time to make anything to share with you guys, so sorry!!! I will make up for it Tuesday, promise. 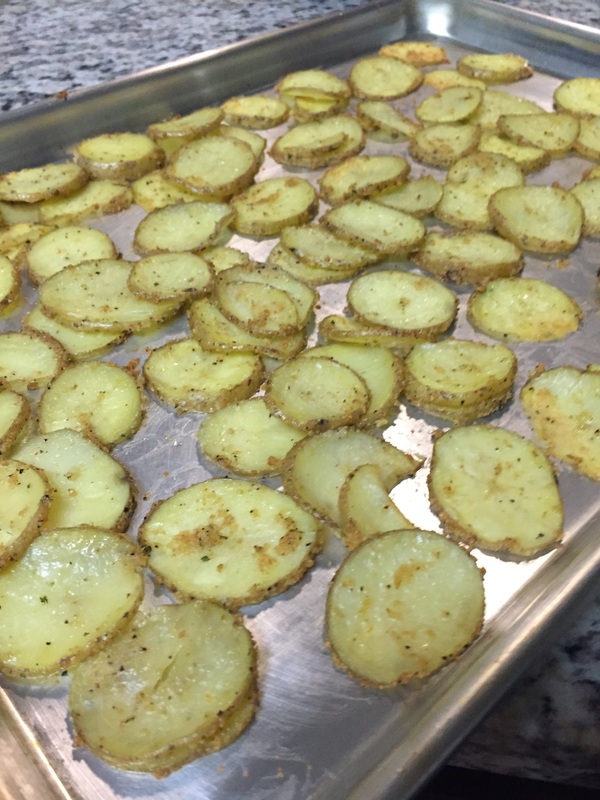 ^^Here is my favorite quick potato recipe that makes for a delicious side dish or an addicting snack. These are bound to be your new favorite snack! Cook them at 375 degrees for 30 minutes for that crispy golden brown crunch.